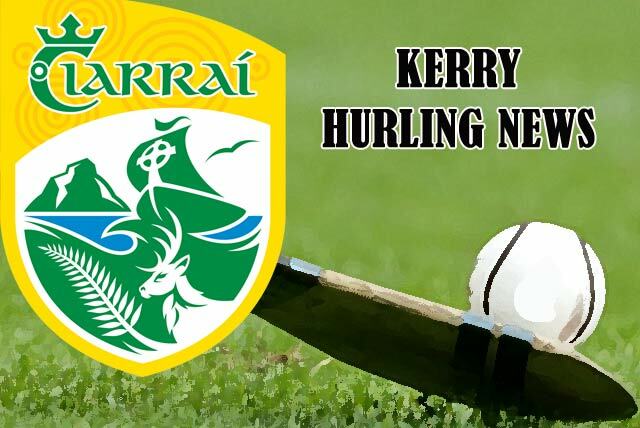 The Kerry senior hurlers got Allianz Hurling League Division 2A campaign back on track last Sunday at Newbridge when they had a 1 - 23 to 0 - 10 win over Kildare. Their next game is against Meath in Round 4 on this Sunday, 25 February at Austin Stack Park, Tralee. The game throws in at 12.30p.m. and forms part of a double bill with the senior footballers who play Galway at 2.30p.m. Admission is €15 on the day but patrons may avail of a €3 discount on tickets if purchased in advance at www.gaa.tickets.ie up to midnight on the day before the fixture. Student/OAP admission is €12 on the day with valid identification. Westmeath lead the Division 2A table with 6 points from 3 games. Kerry, Carlow and Meath are all level on 4 points after 3 games but Kerry lies in second place on point’s difference. Kildare and London have no points to date. Kerry’s remaining league fixture will be away to Westmeath on Sunday week, 4 March. The top two teams after the league stages will contest the Final on Sunday, 11 March. A Foundation Level Coaching Course for club coaches will take place on Saturday, 3 March at St. Michael’s College, Listowel from 10.00a.m. to 5.00p.m. The tutors will be Giles O’Grady & Daniel O’Donoghue and it is aimed towards coaches dealing with players from under 6 – 12 years of age. Fixtures have been issued for the 2018 Credit Union Co. Senior Hurling Leagues. Division 1 will get underway on the weekend of 18 March with the following matches: Crotta O’Neill’s v Ballyheigue; Abbeydorney v Ballyduff; Lixnaw v Kilmoyley and St. Brendan’s v Causeway (first named at home). Division 2 will commence on Wednesday, 30 May. Some clubs finding it difficult to maintain numbers and as a result for 2018 Causeway will amalgamate with Ballyheigue at minor level while at under 16, Causeway will play with Abbeydorney. Tralee Parnell’s hurling Academy for children born from 2005 – 2013 continues on Tuesday next, 27 February from 6.00p.m. at Tralee Sports Complex. As usual, equipment is available to borrow and all boys and girls are welcome. Further details on the Tralee Parnell’s website. Congratulations to Parnell’s camogie Chairperson, Carmel O’Shea-Maloney, who was honoured at Croke Park last week by the Camogie Association with a National Volunteer Award.